Are you looking for wall decor that will help you to be thankful for whatever you have? Are you trusting God to supply something according to his riches in glory? 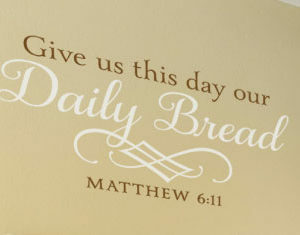 Well, you need to put up ‘Give us this day our Daily Bread’ wall decals: they’ll point you in the right direction! 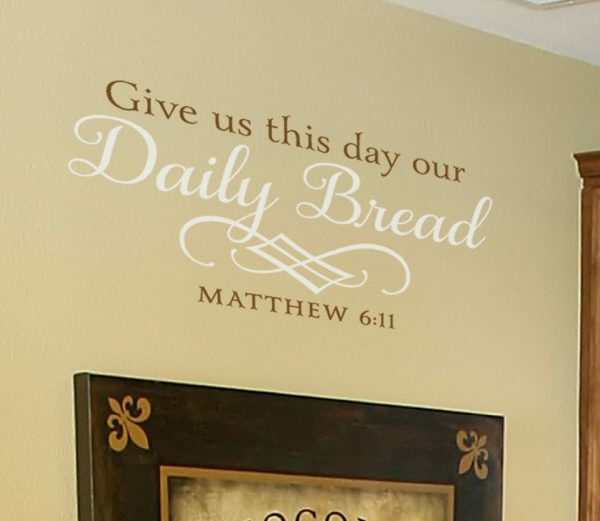 At WiseDecor we have scripture based wall words that are suitable for every room in your home. 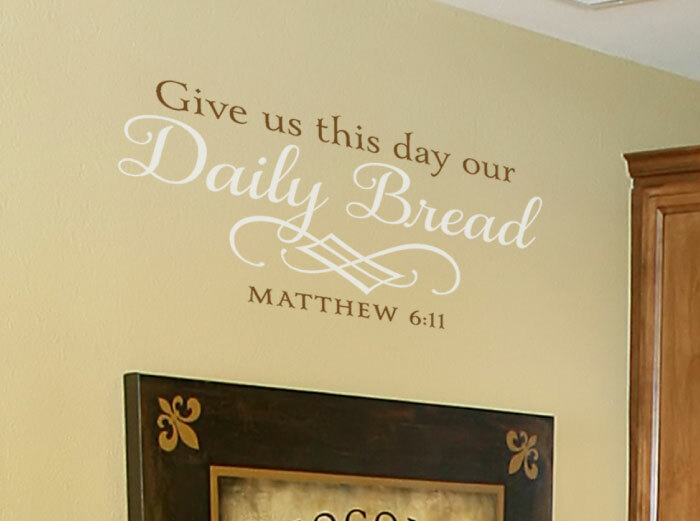 ‘Give us this day our Daily Bread’ wall words were applied in this kitchen. They look great against the underlying wall that’s behind a staircase. The lettering art gives them a stylish look and complement the framed picture below. 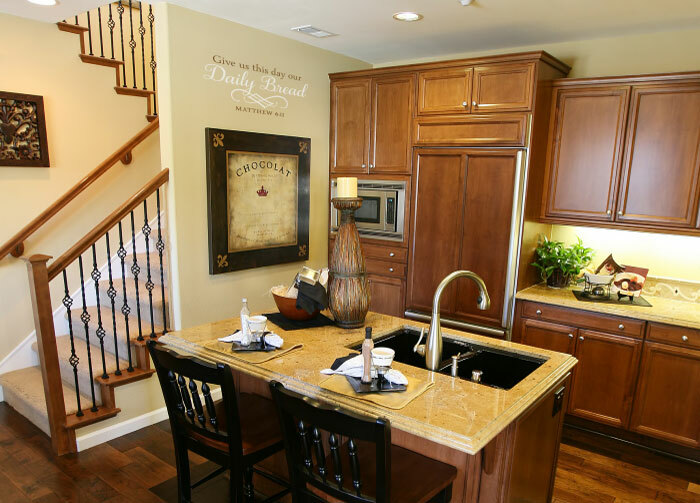 They do tie in well with the kitchen island, wooden floor, light colored countertops and the dark cabinets. The wall letters will be a constant reminder of how family and friends ought to trust God to provide for them on a daily basis. 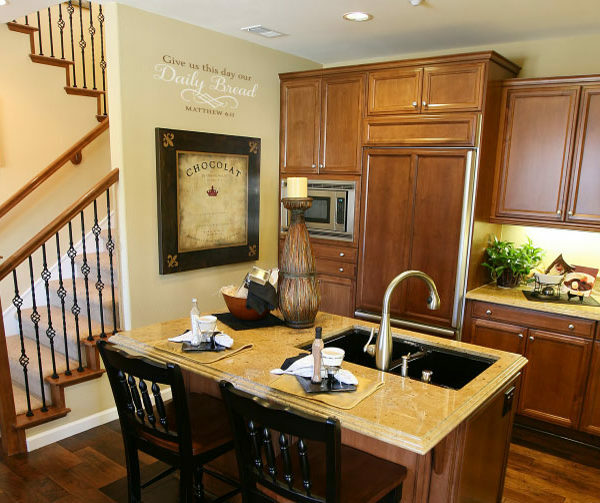 If your rooms are well lit like this kitchen, opt for our matte wall letters. There will be no glare, and will therefore be easy to see and read. Make sure that they contrast well with the underlying wall so that they are visible. If you are looking for a unique way to encourage friends and family to be thankful, try our scripture wall quotes. Give us a call or email: we would love to hear from you!